There are still seats left for Grammy winner, the legendary Paul Simon, coming to the Spokane Arena this Friday, June 23 at 8pm. Ticketswest has your seats www.ticketswest.com or 800-325-SEAT. Don't miss the Foo Fighters as they bring their 'Concrete and Gold USA' Tour to the Spokane Arena on Monday, December 4. Tickets go on sale Thursday, June 29 at 10am and are available at the Spokane Arena Box Office, all TicketsWest Outlets, and at www.ticketswest.com or 800-325-SEAT. 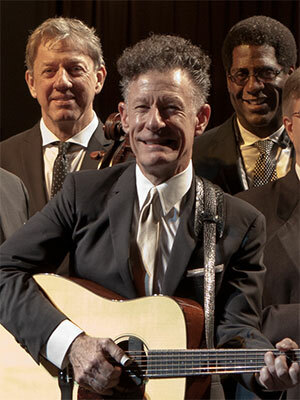 Fox Presents the Grammy award-winning Lyle Lovett, in concert with The Large Band on Friday, July 14, 8pm at Martin Woldson Theater at The Fox. With his great musical talent and gift for storytelling, the Texas-based musician fuses elements of Americana, swing, jazz, folk, gospel and blues. Lots of great music this week at Arbor Crest. 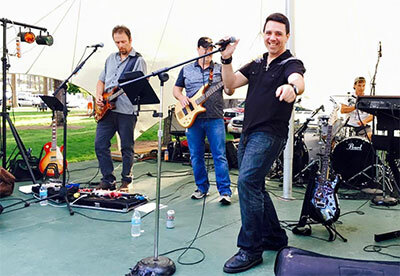 For this Sunday's concert on the Cliff, Sean Owsley & the Blue Mustangs will perform great country and rock hits. Music runs from 5:30-Sunset, admission is $10. This Thursday, June 22, musical performer is singer/guitarist Evan Denlinger. Glass and jewelry by Cindy Dillehay will be on display. Music runs from 5:30-7:30, $5 admission. Wine, beer and food available for purchase. Visit arborcrest.com for more information. The Art Spirit Gallery at 415 Sherman Ave in downtown Coeur d'Alene continues their exhibition of sculpture and enamel art by Allen and Mary D Dodge, whose unique, colorful work is up through July 8. Go the theartspiritgallery.com for more information. Sammy Hagar and The Circle is back on tour and will be performing at Northern Quest Friday, June 30 at 7:30, as part of the Pepsi Outdoor Concert Series. Playing alongside the 'Red Rocker' on stage is former Van Halen bassist Michael Anthony, Jason Bonham on drums, and Vic Johnson on guitar. 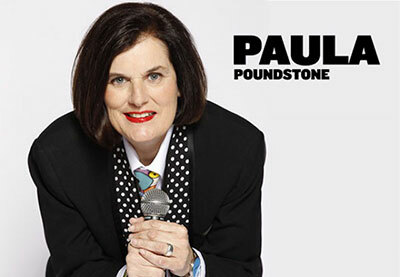 Enjoy a night of laughs as Paula Poundstone takes the stage of the Bing Crosby Theater Thursday, June 22 at 7:30pm. She is an audience favorite for her sharp wit and quirky observances. Proceeds from the event benefit Spokane Public Radio. Manito Park Bench Cafe continues with its Free Summer Concert series and this Friday, June 23, Blue Water Strangers will perform their unique blend of Americana music, including fiddle, banjo, guitar, mandolin and vocals. Music runs from 6-8pm. Great food, ice cream, espresso drinks and more are available for purchase. Beer from No-Li Brewhouse also available for purchase during concert hours. Relive the heyday of the world's favorite Pop act with Beatlemania On Tour, the complete live tribute show that recreates a true Beatles experience with authentic costumes, replica instruments and all songs performed with exquisite attention to detail. The show comes to Spokane for one night only on Friday, June 30, 8pm at the Bing Crosby Theater. Two of music's most beloved bands are joining forces for an epic summer tour. Matchbox Twenty and Counting Crows are kicking off their 'A Brief History of Everything' Tour at the Spokane Arena on Wednesday, July 12. This year celebrates the 20th anniversary of Matchbox Twenty and their breakthrough debut album 'Yourself or Someone Like You,' selling more than 15 million worldwide. Counting Crows have been a popular force in the music scene ever since their multi-platinum breakout album 'August and Everything After' in 1993. Tickets are on sale at the Arena Box Office and at www.ticketswest.com or 800-325-SEAT.